Materials: Stainless steel wire, iron plate, copper plate, aluminum plate, hot-rolled and cold-rolled carbon steel sheets, galvanized sheets, nickel, titanium, PVC and other sheet materials. Opening: Round, hexagon, oval, square, rhombus, rectangular, hexagon, and composition of different shapes, also other special shape. Process: Stamping, leveling, cutting, bending, reeling, welding, shaping and surface treatment. Steel:Use“Manufacturers”Standard Gauge for steel sheet. Stainless Steel:Use the U.S. Standard Gauge Table. Monel: Use the U.S. Stangard Gauge Table. Copper, Brass, or Muntz: Use the B&S Gauge Table. Aluminum: Use the B&S Gauge Table. Round Perforations: Staggered (60 degree pattem) is stangard. Vaniations include 45 degree staggered, and straight line pattern. Square Perforations: Staggered or straight line pattern. Slotted Perforations: Side staggered, end staggered, or straight lines. 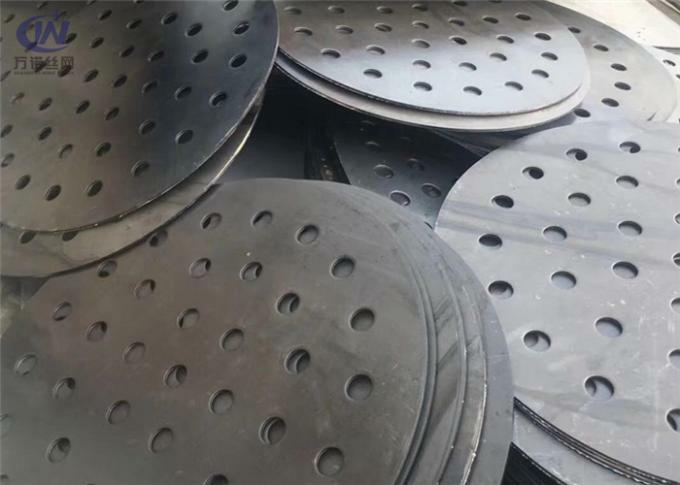 Slotted perforations will be round end slots: specify if square end slots are required. Other Perforations: Available upon request. Spacing for large perforations will be designated be either Centers of perforations, or by the Open Area required. Spacing for small perforations will ge designated by either Centers, or Open Area, or if more practical, by the Number of Perforated to the Square Inch. Staggered Perforations ,both Round &Square: Direction of the stagger will normally be the short dimension of the sheet. Straight row of hole is normally parallel to long dimension of sheet. Slotted Perforations: The long dimension of the slots can be fumished with either the width or length of the sheet in most cases. Perforated Stock Size Sheet & Plates: The long sides of the sheet will be suppiled with minimummargins. The short sides of the sheet will have either minimum margins or no margins. 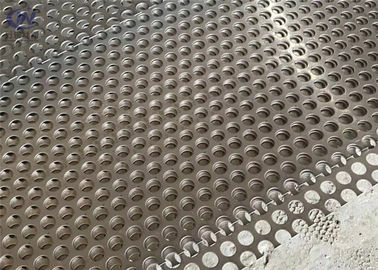 Sheets & Plates Re-sheared after Perforating: Special margins are available to specifications but the must carry a tolerance within the limits of the perforating tool. Unfinished end pattern is standard in the industry. Perforated sheets with extra wide margins. Blank areas required within the perforated area. 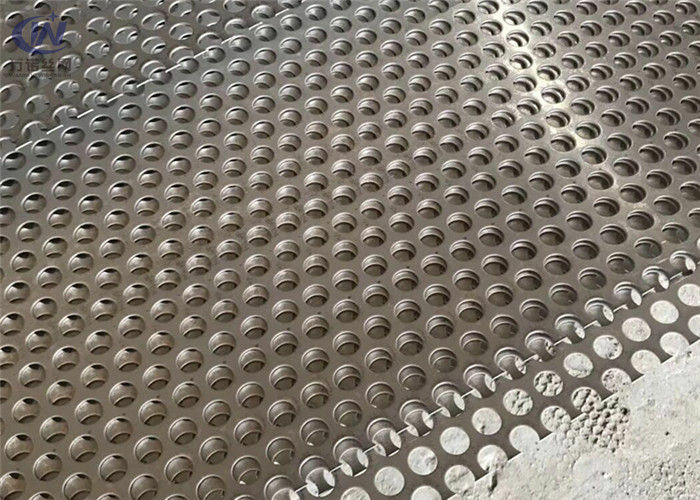 Perforated sheets with very large percentage of open area. Heavy page metal in relation to the size of the perforation. The rule of thumb for pertorating is that thehole diameter should not be less than the thickness of the material. The closer to a 1-to-1 ratio, the higher the probability of tool failure and the greater the precautions necessary to avoid it. Modifiactions can be made in certain instances at additional costs. For stainless steels and similar higher strength materials, it is perforable to specify at least three thickness gauges thinner than hole diameter. The same general rule applies to bar width. The bar width should be greater than material thickness because of the increased number of punches and therefore, increased perforation tonnage. The bar with can be adjusted at increased costs. We can supply panels cut to size, framed and made to your exact requirements.